In business and in life, there’s a magical way to get more of what you want, more of what you need, and more of what you desire. And that “magical” technique is simply to ask for it — but that might not be as simple as it seems. Because first, you’ve got to get clear on what it is you’re looking for. Sonia Simone: Greetings, superfriends! 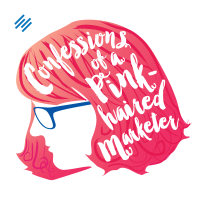 My name is Sonia Simone, and these are the Confessions of a Pink-Haired Marketer. 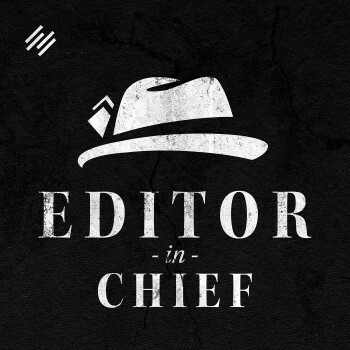 For those who don’t know me yet, I’m a co-founder and the chief content officer for Copyblogger Media. Today, we’re going to talk about action and, more specifically, calls to action. This is a copywriting term. You may have come across it before. If you’ve studied persuasive writing at all, you have. In a copywriting context, a ‘call to action’ is a clear statement, a clear command of what you want the audience to do next. The easiest place to look for examples is the infomercial. “Call this 1-800 number to order now,” or “Visit this website to order now.” That’s a call to action. It’s a specific instruction about what to do next. It has an important persuasive role. If you do not tell people exactly what to do, then, over the many years that persuasion has been studied, we’ve found that people won’t do it. That’s why radio ads, infomercials, direct mail pieces, they sound kind of pushy. It’s actually been quite well-demonstrated that very clear, almost too clear in a way, instruction about what to do next is, in fact, what works to get people to take the desired action. In a content marketing context, your content creates the context for the sale. It gets people to start paying attention to you because they’re interested in the content. They might have seen it on social media or on a Google search, or you may have created some advertising to get to it. You’re getting the attention. Then you’re cultivating that environment where people get to know who you are. They get to know why you matter to them. Specifically, that means how you help with their issue. They start to trust you. Then there is an environment in which they have enough information to make an informed choice to move forward with your product, your service, what have you. The call to action is then a specific, clear, and precise statement of what they should do next. It sets the expectations. Very often in a good call to action, a professionally written call to action, you will see that the writer will actually let you know what’s going to happen next. For example, you’ll see this on, if you’re in the US, the public radio, the pitches that they have, to go ahead and get signed up for public radio. Today, I’m going to get into the call to action in a little more depth. It’s a very simple copywriting concept. There are lots of articles written about it. I’ve written a couple of them. It’s quite a simple concept. In fact, if you are perhaps not a professional copywriter yet, but you would like to be or you are writing for an organization, but you’ve never had that formal, persuasive writing training, this is probably the easiest thing you can do to make your writing more persuasive is to put a very unambiguous call to action where you want people to go forward and do something. It’s a cornerstone. It’s a nice one because it’s very easy to do. It takes you one minute. You’ve already learned the concept, and it takes you another minute to execute. It’s very different from trying to craft great headlines, which is more of an art. It takes a lot of practice. Even after you’re good at it, you usually want to come up with 10 or 20 or 40 before you get that one that really works. The call to action, on the other hand, is simple. It’s easy to implement. Today, I want to talk about it in a larger context of understanding why you’re doing what you’re doing in your communication. What is your goal? What are you trying to get people to do next? That is the hard part of the call to action. It’s not the execution, which is very simple. It’s the thinking behind the execution. It’s probably easiest to see this in the world of the nonprofit organization or the political change organization, but you also do see it with companies. You do see it with more traditional organizations. We get so obsessed with awareness, and we get so obsessed with the tension. We get so involved in getting people to see that we’re there and understand the problem, understand the political problem, the charitable problem. We get so interested in what people know about us, that we forget to ask them to do something. You see this on a micro level of your hairdresser just isn’t really thinking very clearly about asking you to go make a recommendation on Yelp or a recommendation for your local city’s top hairdressers in Denver, whatever it might be. And you see it on a large level. Political organizations spend all of their time, all of their volunteers’ energy, and in some cases, quite a bit of money raising awareness for the problem, but there’s nothing to do with that awareness. Everybody walks away with an emotional state change. They walk away feeling fired up, but they don’t have anything to use that fire on. I want to read you a quote from Daniel Hunter in a book he wrote called Building a Movement to End the New Jim Crow. It’s an organization guide. It’s a guide for groups that want to create political change on, specifically, nuts and bolts of how to do that. It was a really interesting read. It’s also actually a rather interesting marketing read because, any kind of marketing — whether it’s a political marketing, product marketing, nonprofit charity, promotion — you’re trying to persuade somebody to take some form of action. I thought that was very valuable, his conversation about the campaign. In his case, he’s talking about a campaign. For example, to get a certain law repealed, that the group feels is unjust and is not serving society as a whole. It’s a campaign, right? For example, I would like to motivate small, enlightened tech startups to consider me for a position as a content manager. That might be a campaign that you are on in your professional life, in your career. Or, “I would like the people that I know to support the repeal of a local ordinance that I think is not a good law. It’s not just. It’s not right. It’s not helping our community, and I think it should be overturned.” That’s a campaign. Or, “I want our customers to sign up for a new educational program that we’re offering that’s going to help them to become better parents, better friends, and better spouses by expanding their awareness of their own issues.” It’s a meditation course, and it takes six weeks. It’s going to make them a better person by improving their relationships. It’s a campaign. If you think about campaigns in your persuasive work, whatever it is in your life — personal life or professional life — that you are trying to make happen, you can start to craft the right kinds of content and, specifically, the right kinds of calls to action to get people to do the thing. In a funny way, I feel like that’s what we’re here to do. We’re here to communicate with our brothers and sisters on this planet and help them to do more good stuff and do less bad stuff. Of course, the tricky part comes because we all define that differently. That’s also where the good part comes. That’s why we have such a diverse, wonderful, amazing planet to live on. If I can give a bit of encouragement here, I want to stress that very often in this life — as persuaders, as marketers, as writers, as content creators — we’re a little shy about asking for what we want. We have this feeling that we should be able to paint the picture so clearly that the audience will know what the next step is, that the audience will be moved to go do something differently. The audience will be moved to go write a letter to the mayor, vote in a certain way, support a particular political party, or purchase our product. That is sort of the mark of the amateur marketer, if I can say that without sounding condescending. People who have a tremendous amount of talent and a tremendous amount of ability, who could be making great things happen, are afraid to ask for what they want. I found this in my own life in a funny way. I’m the kind of person that, once I find a hairdresser that I like or somebody to do my nails, I will stick with that person until that person quits their job. I will stick with that person. So I’ve had the same hairdresser since before my son was born, and he just turned 10. I have a lady who I go for a massage regularly. Once or twice a month, I try and get a massage, keep my brain in decent shape. It’s funny because the woman who does my massages is probably the one I feel most close to. Perhaps because that’s a very intimate kind of a relationship, but also because she’s just really good at what she does. Every year, all of my service people who take care of me and keep me going will ask me for these things. They will ask me to vote for them in the city. Our local free newspaper has a collection of the best restaurant in Denver, the best massage therapist, the best nail technician, the best hairdresser. My hairdresser always remembers to ask me, and I always to do it because I like her and because why not? Why wouldn’t I want to help her out? My massage therapist never does. She doesn’t ask I think because she feels it would be intrusive, or it would be infringing on our relationship. In fact, it would be wonderful for our relationship because it would give me a chance to give back to her for all the wonderful things she’s done for me. I usually do it, but I have to remember to do it. The funny thing is the person who reminds me to do it, is the hairdresser who I like, but I don’t love as much as I love this other person. Most people aren’t going to do it. Most people, even if they want to, even if they have every intention to, they won’t do it without that very clear and specific reminder to get out and do the thing that would help you. First thing I want to do is just encourage you to adopt that mindset of asking for what it is that you need. Ask at the end of your podcast. Ask at the end of your blog post. Ask in your social media post. Let people know what they can do next if they’re on the same page. If they are in alignment with you, if what you say is resonating with them, give them something to do next. It’ll help you. It’ll help them. It’ll help the world that you want to live in by just being very specific and clear with people about what they can do next. I’m hoping that many of you, maybe even most of you, if you are in a for-profit organization, a company, you are in some way promoting a product or a service. Even if you’re not in marketing, you are marketing what your company does. Everything that a company does and every way they interact with the customers, everything from the way that their drivers drive on the street if they’re in a vehicle that’s marked with a company name to how you pick up the phone, how you deal with vendors, how you package up the product in a box, communicates something to customers. It’s either communicating something positive or it’s communicating something not so positive. All of us virtually are in marketing. Even if your professional life has nothing to do with marketing, you are totally invisible to your organization’s customers, you’re marketing on Facebook when you share a post, when something makes you angry or outraged or happy, or there’s something that you share that’s a wonderful story. There’s a part of you that wants to see a world that’s a little bit better than the world you came into. So my call to action to you is really think about that. Think about what’s going on with your company, with your personal life. What would you like to see on this planet get a little bit better, in the way that you define it? You guys could probably guess some of my definitions, but this isn’t about my definitions. This is about your definitions and leading your life the way you think you should. My call to action to you is to think about, in your life — personal life, professional life — what would benefit humans, solve a problem, or make something better? It doesn’t have to be something ‘noble.’ You don’t have to be solving world poverty. That’s awesome if that’s what turns you on, but I want you to do something that turns you on. It could be a local playground. It could be an arts organization. It doesn’t have to be something that is very high-flown and noble. It could just be a beautiful new garden for your church. I don’t know what it is. You know what it is. If there’s some little way that there could be a little corner of the world that might be a little more wonderful, think about some calls to action. If you are in an organization where you are doing communication or marketing, think about a way you can craft some calls to action to make something better, to make something a better place. Could be a charitable or political call to action, but it could also simply be something about encouraging your customers to take better care of themselves, to take care of their health, or take care of their relationships. Something, of course, relevant to what your company does that makes life a little bit more wonderful. Not in a preachy way, but really just in a way that makes us all feel good about ourselves and about the world and each other. If I can give you homework — and I don’t normally give homework on this podcast — but think about your calls to action this week. Think about where you are pointing people. If you do find yourself on social media, as we all do, expressing a lot of outrage — as we know, outrage is the methamphetamine of the web, right? It’s cheap. It’s toxic. It’s readily available. If you find yourself sharing a lot of outrage, take some time, sit down, and think about your campaign of one. If people are outraged about something, they’re ready to take some action. What action should they take? Should they go write a letter? Should they vote for a certain candidate? Should they just let their elected officials know that they really don’t support the way that things are now, and they want to see change? They expect to see change. These kinds of things are small, but they do add up. So think about your calls to action this week. Make them clear. Make them explicit. Make them something that’s going to make the world a little bit better. That is my rant for today about calls to action. Of course, I would be remiss if I didn’t have a call to action to you to go give this a star rating or a review on iTunes. That’s always wonderful. I love when that happens. It helps me out quite a bit. If you want to leave a comment, a question, an idea for a future podcast, you can do that at PinkHairedMarketer.FM. Just find the latest episode and leave me a comment. I would love to read your comment, reply to your comment. If you have questions you’d like to see answered in future podcasts, I’m all about that, love that. As you may know, the Confessions of a Pink-Haired Marketer are brought to you by the Rainmaker Platform, the complete website solution for content marketers and online entrepreneurs. Ready? This is the call to action. Find out more and take a free 14-day test drive at Rainmaker.FM/Platform. That’s it for today. Thank you so much. I will catch you soon. Take care! Great stuff. Very punchy. Consider my behind kicked. And thank you very much for promptly including the transcript. I read carefully and don’t have time to listen. I am wildly, wildly lucky to be working with a team that can put that together for me quickly!